No matter what level of experience you have in article writing and marketing, you’re probably familiar with the concept of the Resource Box. It’s your “TAKE” from the article and where you get a chance to develop more of a relationship with your readers. … plus, they are benefit-oriented to your ideal client. If there’s information about you that isn’t relevant to the topic of the article, it’s better to leave that information out. This will make or break your chances of making the right impression with your entire article. Picking the Right Web Content – When a reader finishes your article and is satisfied with the information you’ve provided, they’re more than likely interested in getting other similar information. If you have other content to share, they’re pre-qualified for that related material you have (a.k.a. they’re more likely to be interested in it than the average person). Take advantage of this position and connect them to your other valuable web content. What’s Your Theme? The first step is matching the subject of the article and the action you want from the reader. For example, an article about dog grooming techniques attracts readers that have an interest in dogs. The Resource Box for this hypothetical article should give extra resources related to dogs, not something completely unrelated like retirement planning. Stick with Your Single Message – Don’t ask too much of your readers. Pick one thing you want them to do and express that clearly in the Resource Box. Don’t ask them to do irrelevant things. Study Your Audience – Understand the types of information-seekers out there by utilizing all sections of the long tail keyword concept. The specificity of the keyword will have an impact on the types of people seeking it out and additional information they may be interested in. Seamlessly Attached – The same Resource Box shouldn’t just be added to every article without a purpose. Customize the message in each Resource Box to be clearly integrated with the message of the article. 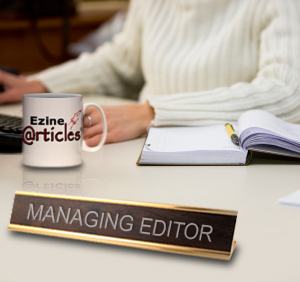 Finalize the Article – Give the reader a place to find out more information on what they just read. Be sure that the link takes readers to the best possible place. You may not be able to share all that you want in a single article and your links can bring bonus information to readers. However, remember that your article must stand alone and shouldn’t require clicking your links to get the full benefit of the information. Use these tips today to increase the click-through rate of your Resource Boxes. Also, leave a comment to share your own tips for writing an effective Resource Box. Powerful, powerful resource box tips there Penny, it’s very easy to be careless with the resource box especially when you do things in a hurry or immediately after writing and you just want the article to be out there. It’s worth letting it cool down, perhaps over night and revisit it the following day with a fresh pair of eyes and solely focusing on the resource box more. Those are some excellent points to consider and practice. Starting today I will make some changes to the way I use the resource box following the above guidelines. Excellent advice on the resource box. While I am still fairly new to article marketing, I made some changes to my resource box, along these guidelines, towards the end of last week and I am already noticing a positive impact on my click rate. I have only started using anchor text and will apply the advice in this post. After being a member of EzineArticles.com for over a year, I can just feel how implementing these valid points will give me more power. Thank you, Penny. Very helpful tips for our resource box. Thanks.